Want to get fit whilst having fun? Want some time for you? Join our new FREE running community for local mums A chance to meet new people and get fit as part of a friendly supportive group! Come along with or without your little ones and start your day the right way - with some fresh air and headspace in beautiful Epsom Common! WHEN: Thursdays 9.30 – 10.15am WHERE: Epsom Common (meet outside The Cricketers Pub) WHAT: 45mins of YOU TIME – some morning stretches followed by a gentle group run on the all-weather paths of Epsom Common. 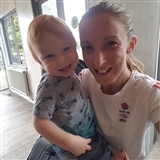 Led by a qualified England Athletics Run Leader and Athletics coach All abilities welcome – it is recommended that babies in buggies are 6m + and mums should only start running after they've passed their 6 week doctors check post birth, specifically in regards to diastasis recti and pelvic floor.